Have you ever wondered how some people make eating healthy, exercise and managing stress look so easy? You can too. Wellness Wisdom Host and Self-Care specialist, Camille Kennard, and her guests will guide and empower you with the confidence to make wise health choices, see results and make lifestyle changes that last a lifetime. Camille is a Licensed Clinical Social Worker and Certified Health and Wellness Coach who believes that well-being begins in the mind. Camille shares her own journey of ... See More weight release, overcoming negative body image and how she grew to appreciate the value of exercise and healthy eating. 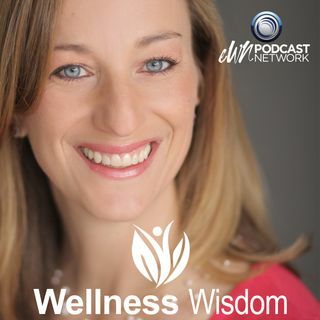 Tune in each week for Wellness Wisdom tips on topics such as insomnia, gut health, eating disorders, mindfulness practices, and learning the skills of happiness. Discover Camille’s “3 Secrets to Lasting Health and Happiness,” including 1-Mindful Eating, 2-Joyful Movement, and 3-Stress Resilience. Listen and learn how to overcome the mental and physical obstacles that are holding you back. Make peace with your body and love who you are. Are you a victim of the SAD diet? Shatter Dieting Myths with "The Food Codes"